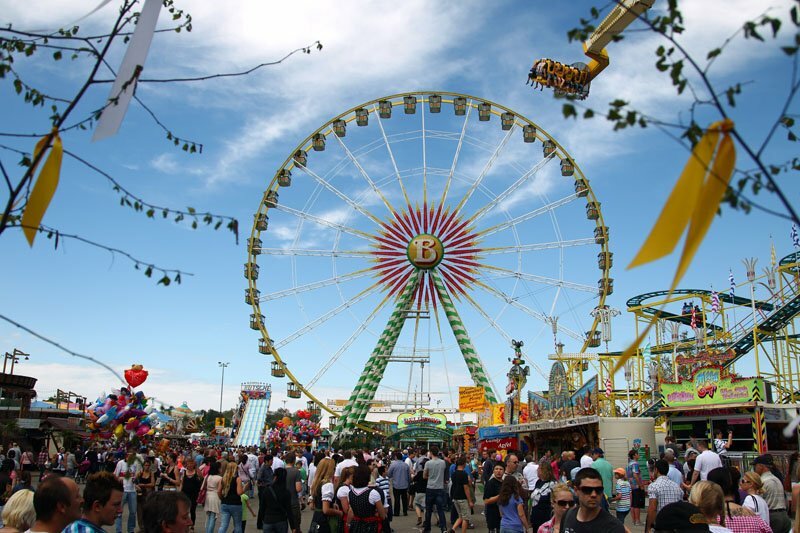 The annual Cannstatter Volksfest celebrates its 200th anniversary this year on the Cannstatter Wasen fest grounds in Bad Cannstatt. 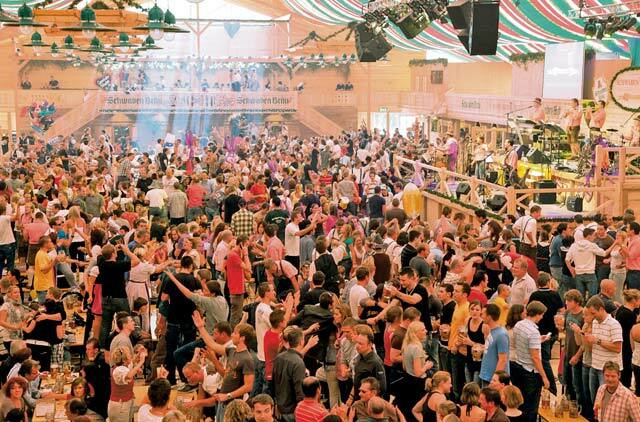 Cannstatter is the second-largest Volksfest in the world, offering seven beer tents, the Cannstatter Oberamt wine tent and the Almhüttendorf, a reconstruction of a typical Bavarian-Austrian alpine village. Participants will enjoy grilled chicken and many other foods sweet and savory, live bands, carnival rides and a variety market. The fest will be open Monday through Thursday from noon to 11 p.m.; Friday from noon to midnight, Saturday from 11 a.m. to midnight; and Sunday from 11 a.m. to 11 p.m. Special opening hours are: Sept. 28 (opening day) from 3 p.m. to midnight, Oct. 2 from noon to midnight and Oct. 3 from 11 a.m. to 11 p.m. Family days with reduced entrance fees are also offered Oct. 2 and 10. Entrance to the fest is free. A traditional Volksfest parade will take place at 11 a.m., Sept. 30. On Oct. 14, the fest will conclude with a 15-minute fireworks show set to music at 9:30 p.m. People can catch a great view of the fireworks show at König-Karls-Brücke adjacent to the fest grounds. Reservations for tables in the beer tents are typically made months in advance. Without a reservation, a visitor may encounter long lines and wait times, and a possible rejection to enter a tent, especially during the weekends. To see if reservations are still available, visit www.cannstatter-volksfest.de, go to the Festzelte tab on the left, select the respective beer tent by clicking on the image, proceed to the tentmeister’s website and click on the Reservierung tab. Backpacks and bags will be searched at the entrance or when entering any beer tent. No knives are permitted on the fest grounds; all knives will be confiscated during security checks conducted at the various entrances to the fest ground and prior to entering any beer tent. Fest-goers cannot bring any bottles (plastic, glass or steel) on the fest grounds. No pets are not allowed on the fest grounds; service dogs are permitted. There will be no parking available at the Cannstatter Wasen fest grounds for privately owned vehicles this year, due to the Agricultural Festival being held at the same time. Large events such as the fest increase the potential of drinking and driving. If you plan to enjoy the fest, ensure you have a plan for returning safely home afterward. Use a designated driver, public transportation or a taxi. Don’t leave children unattended at any time. Always follow the safety instructions posted at the rides and/or instructions given by the operating personnel; when in doubt, ask before you take a ride. If you’re not going alone, purchase a group day ticket (GruppenTagesTicket) at any stop. It is valid for up to five people or for a parent with any number of children 17 years or younger. Prices vary based on selected travel zones: 1-2 zones: €12.30; 3-4 zones: €17.10; entire network €19.90. 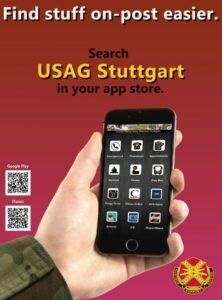 Fest-goers can also download the USAG Stuttgart mobile app to plan their trip and receive event and public transportation information. Forgot, or lost something while festing? The lost and found office (Fundbüro) is located in a container between the Zum Wasenwirt beer tent and the Stuttgart administrative office, or call 0711-9005625.